At the end of my more than two week trip with WBC in the middle . . .
• Using the word “narrative designer” to describe a story-teller? Bad idea. A major change in games is the advent of the avatar-based game. In such games the player is represented by a single piece, and often if that single piece is killed the player loses the game. Now you can look at the King in chess as a sort of avatar, but the king is one of the weakest pieces in the game, whereas in a typical avatar-based game the avatar is a very strong “piece.” Dungeons & Dragons may not have invented the avatar-based game but certainly is one of the earliest and the most influential. The player is his character and the character is the player, in a sense. When people talk they often conflate the two. The avatar is the means by which the player affects the game and manipulates the assets of the game. The avatar is usually quite powerful, and may go up against many many enemies and prevail. This is pattern followed by a great many video games such as shooters and action games. The whole paraphernalia of levels and experience and loot and so on comes from Dungeons & Dragons. 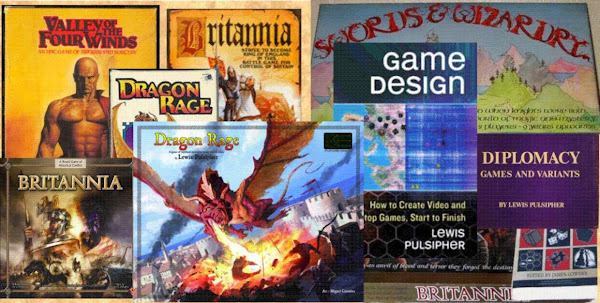 Where tabletop games have gone toward card games, video games, at least the big ones, have largely gone to the avatar-based paradigm. (In any case both have gone away from classic boardgames, which are games of conflict and maneuver where geospatial relationships are very important.) This is not to say that there aren't still boardgames around of the traditional style but they are much less common and they appeal to a much smaller part of the hobby game playing world than was true, say, 40 years ago. We can also say that games that model some reality (possibly a fictional reality) were much more common in the past than they are now. A great many games are essentially abstract - insert here the bit about correspondence - with a so-called theme that I call an atmosphere tacked on for marketing purposes. It doesn't say much about the buying public that they buy more based on the marketing story then on the actual game. But I suppose that's partly because most people buy games and game shops don't really know much about the game, and the game doesn't tell them much about the game, on the back it tells them about the story. In a sense all the old classic games, before commercialism in games, are abstract but most of them have the maneuver and conflict that are common to warfare. The current abstract games with worker placement and drafting and role assumption, have nothing to do with any reality. If I regarded myself as a professional story-maker, I certainly wouldn't use the word "narrative" to describe what I was doing. Everything humans do has a narrative, an account of what happened, but that narrative is rarely of interest to other people. Driving to the store and buying groceries has a narrative. Narratives - accounts of what happens - are often not good stories, not interesting unless you're the person it happened to. A good story is a narrative, but one where the consumer cares about the characters, and where the plot is exceptionally interesting to the target audience. I stopped at one of those fast food restaurants that give you a large paper on the tray. It sang the praises of a new sandwich. In the corner it said "Games" with an arrow pointing to the other side. So I turned it over. Every one of the "games" was a formal puzzle: a maze, a word search, a search for objects hidden in the background, a recognition of topiary silhouettes (which animal is this?). The point is, "games" has become a very broad category to the average person, not recognizing how very different a one-person puzzle with an always-correct solution is, from a game with more than one person and lots of player-to-player interaction. When “game” becomes nearly synonymous with “play”, then we need to redefine “game,” or stop using it.